Enjoy the amazingly soft pillow that is featured at many Wyndham ® Hotels! The Pacific Coast ® Touch of Down has been a wildly popular pillow in Wyndham ® Hotels for years. 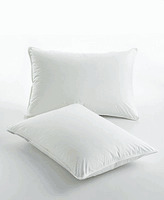 The soft-medium support level of this pillow makes it ideal for stomach and back sleepers. Treat yourself to the pillow that has been taking the hospitality industry by storm!